Did Sony get hacked? Did someone working for their Twitch channel get a little frustrated with the camerawork at the PlayStation conference in Gamescom earlier this week? Are they mad about the whole Tomb Raider thing? Whatever it is, it's very inappropriate. 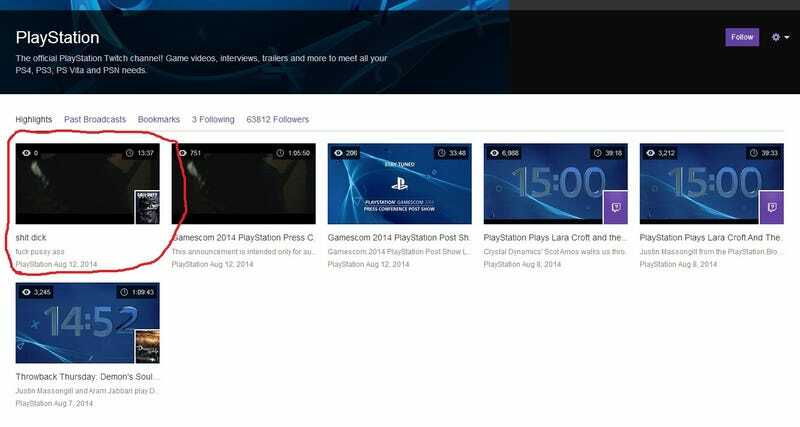 Still live on PlayStation's Twitch channel as of right now, too.